Cape Town resident Kirsty Alberts washes her family’s bed linen once every two weeks and toilets at home are only flushed once or twice a day, when absolutely necessary. Carla dos Santos limits herself to two minutes under the shower and her garden has turned brittle and brown because it can no longer be watered. Robbie Webb’s gym collects run-off from the showers to flush the toilets and a dip in the pool is a thing of the past. This, to the people of Cape Town, is the “new normal” as the city at the very southern tip of the African continent grapples with a three-year drought that has triggered the most severe water crisis in living memory. According to local officials , the reservoirs that feed the city’s approximately 433,000 residents were down to 25 percent of their capacity as of February 2018 and, if water levels continue to decline, then taps in the modern metropolis could run dry as early as August . Cape Town has implemented a range of stringent measures to ease the problem. Jane Reddick, of Cape Town’s Department of Water, said measures designed to reduce consumption have so far started to have an effect. “Consumption can very easily be monitored at the level of individual residences. It is clearly detailed in their monthly rates account, with totals for each month and the average number of liters used per day,” she said. That figure is set at a maximum of 50 liters per person per day, with severe fines imposed for properties that still ignore the restrictions. Cape Town’s domestic water consumption now stands at about 510 to 520 million liters per day, down 60 percent compared to the 1.2 billion liters consumed per day in February 2015 . But while the crisis in Cape Town is happening now, there are many other cities around the world that have concerns about supplies of safe, drinkable water. A survey conducted in 2014 of over 500 of the world’s cities estimates that one in four are experiencing “water stress,” while UN projections indicate that global demand for fresh water will outstrip supply by as much as 40 percent in 2030 as a result of a combination of climate change, human action and population growth. And the problem is not just confined to arid and semi-arid regions. The list of major cities identified as being water stressed includes Moscow, Beijing, London, Rio de Janeiro, Los Angeles and Tokyo . While the responsibility for making sure that we do not run out of water lies with all stakeholders, private sector firms with expertise in the area of water resources need to rise to the challenge. LIXIL promotes the conservation and sustainable use of water across the entire lifecycle of its products, from procurement through disposal. The Tokyo-headquartered company’s action plan demands that it creates products that are environmentally friendly, including ensuring a more sustainable use of water resources. 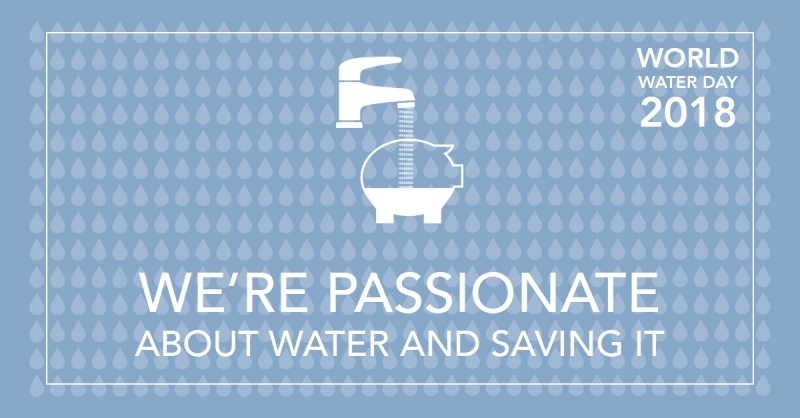 “Consumers often waste gallons of water unknowingly. By observing how they behave, we’ve learned to create products that help them save water while retaining the positive experience,” said Ryuichi Kawamoto, LIXIL’s Chief Technology Officer and head of Environment, Health and Safety. Leaving faucets running while washing the dishes is one example of how drinkable water is often wasted. Cobra – a LIXIL brand originating in South Africa – offers aerators for taps to reduce water consumed by 60 percent without compromising comfort. LIXIL’s Navish hands-free faucets in Japan use sensors to detect the presence of a user’s hands, automatically turning the faucet on and off, and resulting in around 31 percent less water used than a conventional faucet. In many developed countries today, drinkable water is also used to flush toilets. LIXIL’s brand American Standard has released a range of lavatories that use close to 20 percent less water than specifications set by the US Environmental Protection Agency in its WaterSense program. Innovation is also helping to tackle water emergencies in homes, such as pipe bursts or slow leaking drips. Another of LIXIL’s brands, GROHE, has introduced the Sense Guard, which notifies householders of any anomalies in water flow, from drips to leaks, and enables them to shut off water mains through a mobile application. “Needless to say, though, ensuring access and sustainable use of water is not just about technological innovation – we need to be looking at a concerted multi-stakeholder approach,” said Kawamoto. “Governments are needed to create an environment for the more sustainable use of water. Agencies, utilities, and NGOs can help change our behaviors. There is a lot that even we as individuals can do,” he notes. Perhaps nowhere is this more felt that in in Cape Town today, where stakeholders from the government to Kirsty Alberts are working to avert the full-on water crisis. Even though its residents have managed to avert “Day Zero” so far, the possibility and stark reality of having no water has aroused water-conscious practices. This, to Cape Town, is the “new normal”.